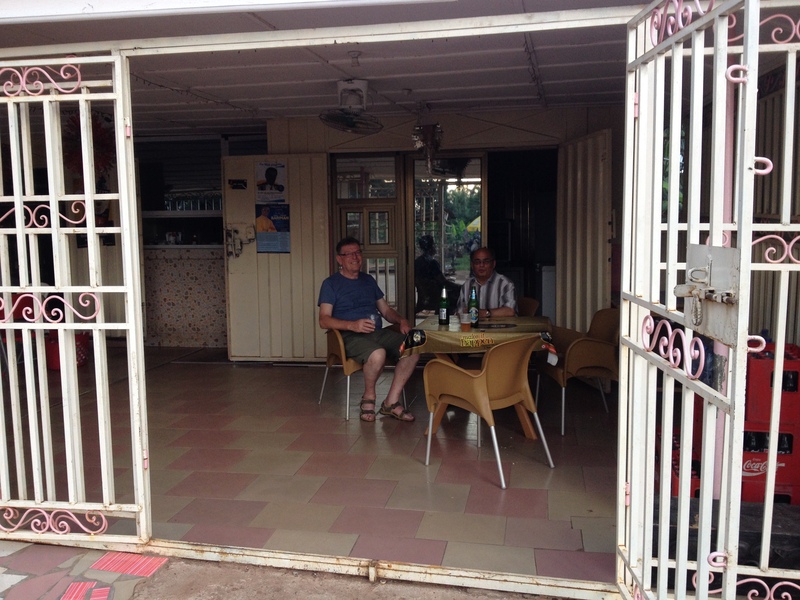 I’ve now had a full week in Kumasi. 8 nights in Ghana. I had has taken a bit of effort to adjust to living and working in such a different environment. I’ll probably complete the process about the time we’re due to return home. The other adjustment factor is to living and working with the project team members. I’m used to working on my own and living mostly with just my son (early 20s) – unless I’m in Gaimersheim where the population is higher. I wasn’t sure how the adjustment to the climate would go. It’s high 20s or low 30s in the middle of the day, and the sun is very strong. 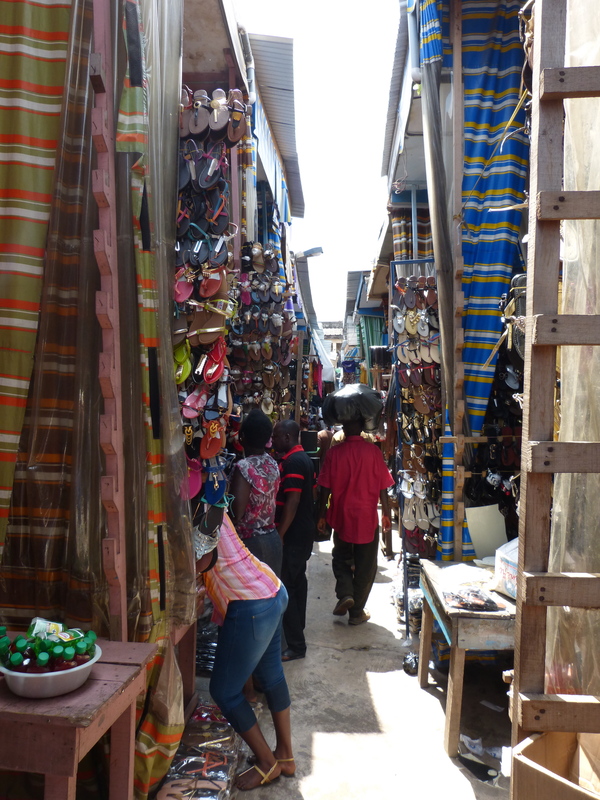 We went to the famous local market yesterday – the biggest in West Africa. We arrived about noon – the worst possible time. Of course the heat is greater in there too. We didn’t stay long. However it is a good example of what not to do. Ideally we’d have been there for 8am. There was a reason – our project minibus was having a new windscreen fitted. I try to plan my meetings to avoid the rush hour traffic, but that means being out in the middle of the day. Sometimes there is no win:win scenario. You learn to accept that you’ll be hot and sweaty several times a day, and feeling dirty most of the day – the dust, the exhaust fumes and the sweaty stuff. The people are delightfully friendly. We’ve taken to strolling out before dinner to have a beer at one of the local spots. We feel comfortable and secure. 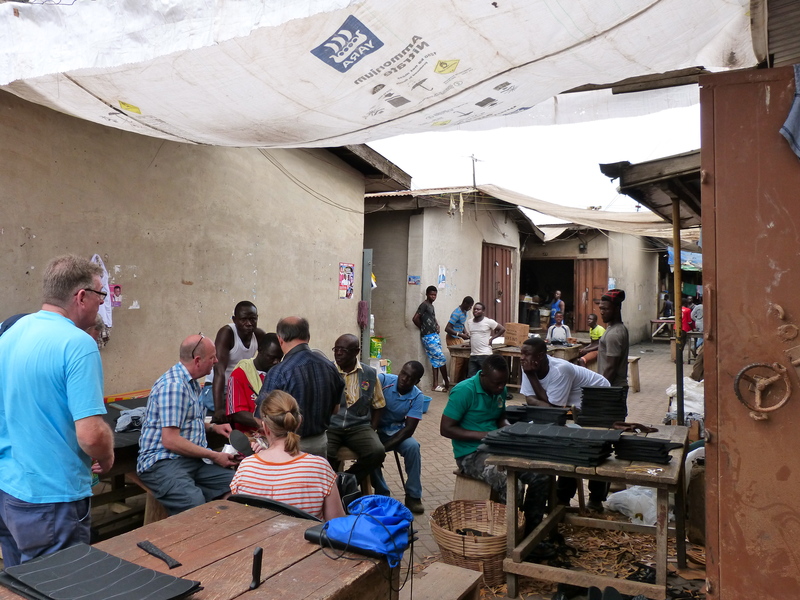 The coming week will involve client meetings and visits to the 2 local Rotary clubs. Then on Thursday we’re off to Mole for 3 nights at the national park there. It’s way up north close to the border with Burkino Faso. 7.5 hours in the minibus, according to my iPhone. That’s for only 230 miles! I may need a cushion. NB. A spot is a Ghanian concept. A local “pub”. 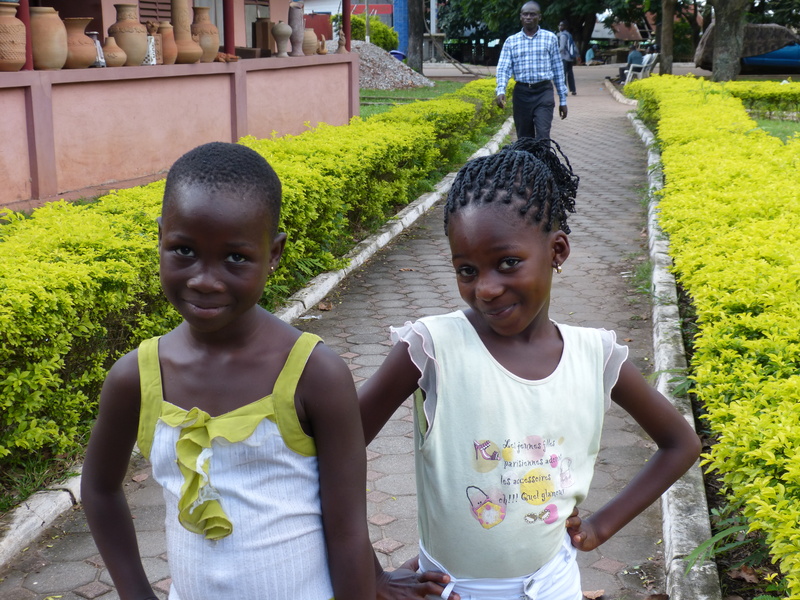 This entry was posted in Kumasi and tagged Ghana, Kumasi, Mole, Rotary. Bookmark the permalink.